In a media statement, Prime Minister Scott Morrison said the Government joined international partners to condemn a pattern of malicious cyber activity allegedly caused by Russia targeting political, business, media and sporting institutions worldwide. "Based on advice from Australian intelligence agencies, and in consultation with our partners and allies, the Australian Government has determined that the Russian military, and their intelligence arm ‘the GRU’, is responsible for this pattern of malicious cyber activity," he said. The events did not have a significant impact on Australian businesses or citizens but "affected the ability of the public in other parts of the world to go about their daily lives". 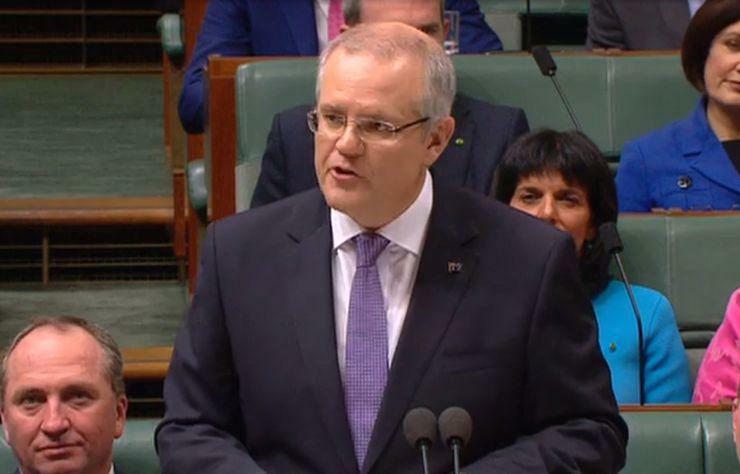 Furthermore, Morrison said that the activity caused significant, indiscriminate harm to civilian infrastructure and resulted in millions of dollars in economic damage, including in Russia. Specifically, the events include multiple email accounts belonging to a small UK-based TV station being accessed by the Russian Military and content stolen between July and August 2015. The Russian military released confidential medical files relating to a number of international athletes in August 2016. The World Anti-Doping Agency has stated publicly that this data came from a hack of its Anti-Doping Administration and management system. Meanwhile in October 2017, BadRabbit ransomware infected victims in Ukraine and Russia interrupting businesses and critical national infrastructure, including energy and transport sectors. According to Morrison, the cyber space is not the "Wild West". "The International Community – including Russia – has agreed that international law and norms of responsible state behaviour apply in cyber space," he added. By embarking on a pattern of malicious cyber behaviour, Russia has shown a total disregard for the agreements it helped to negotiate. "Australia is working with allies and partners to improve cooperative global responses to malicious cyber activity that undermines international security and global economic stability. "At home, the Australian Government has invested in world-leading cyber security systems to help deter, detect and manage cyber incidents, together with domestic and international partners."